There’s no place like Italy. The food, the wine, the stunning landscapes and ancient architecture. It personifies Europe. This summer, Perillo Tours is making it easy for families to head to Italy, enticing them with an 11-day trip this summer for families in partnership with Smithsonian Journeys as part of Perillo’s Learning Journeys. This family adventure explores Venice, Florence, San Gimignano and Rome. Designed for children ages eight and older, this trip is a wonderful opportunity for multigenerational families to introduce their children to the rich history of Italy, while still keeping their active minds engaged and their hands busy. 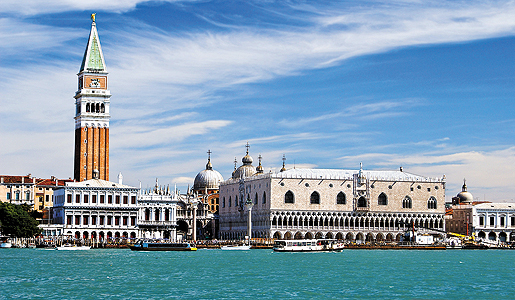 Families will have the chance to explore ancient cities, medieval towns and charming villages, as well as take part in various exciting activities, from watching artisans mold glass masterpieces in Murano, to creating their very own Venetian Carneval masks, to attending a session of gladiator school in Rome. Pricing begins at $4,999 per adult ($4,499 per child) and includes accommodation, meals as specified, tour guides and unique activities. Departures dates available June 21st – July 1st and July 19th – 29th.